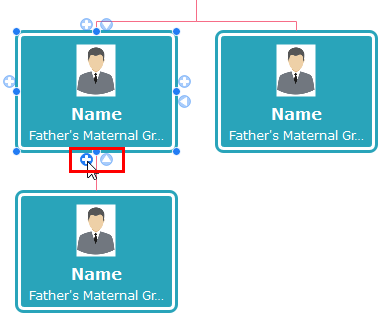 How to Create Family Tree Diagrams with Org Chart Software? 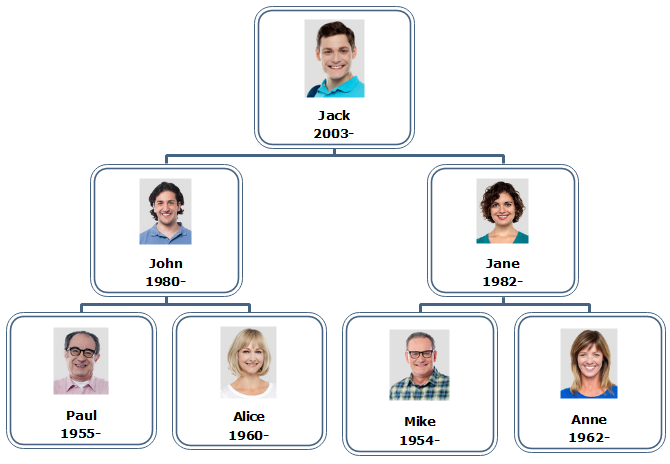 Home How to Create Organizational Chart	How to Create Family Tree Diagrams with Org Chart Software? Do you know that you can even create your family tree diagram with organizational chart software? Simply read this article for the basic concept and benefits of a family tree diagram, and also how to create one quickly. What is a Family Tree Diagram? The family tree is a tree model that links people according to blood relationship or paternity relationship including ancestors and descendants. A typical family tree diagram can be divided into several levels in order to show family origins, family relationship, and members’ basic information. Why Use a Family Tree Diagram? You may think about who are your family ancestors, and how they have migrated to the present life. Family tree diagrams offer an easy way for your family members to record and trace ancestral family background. The inheritance of family tradition would make a deep impression on your descendants. Every family member, including yourself, is involved in your family history. One day, your kids may see your story and inherit it. Family members can easily add, delete, or insert more details for their family members in a family tree diagram. Some family tree software can also export files to different file formats to share and save. 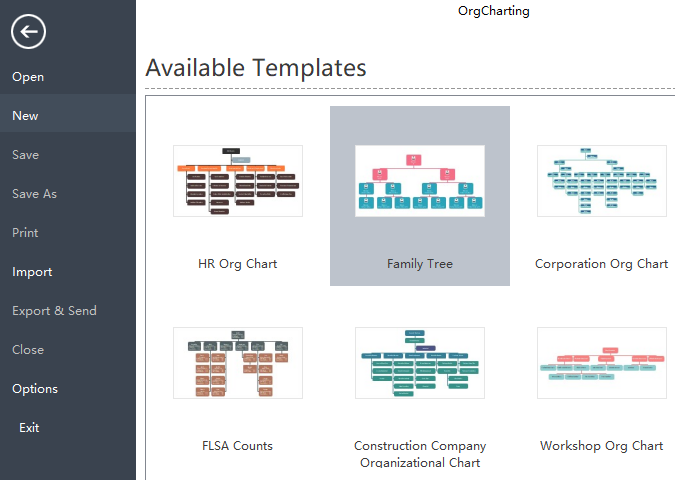 How to Create Your Family Tree Diagram with Org Chart Software? 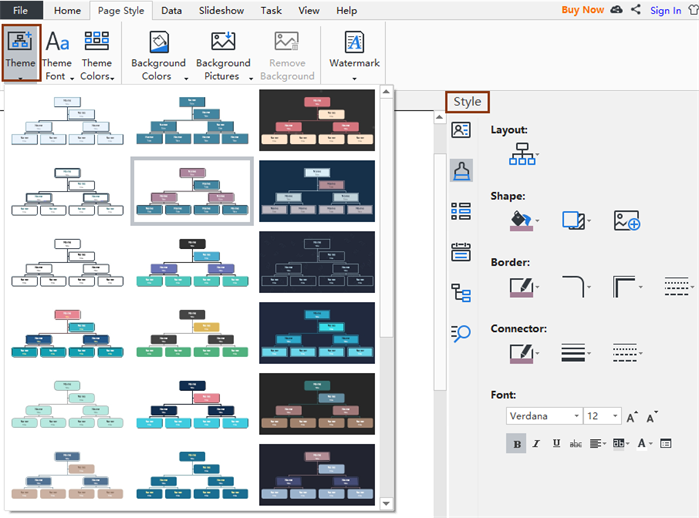 Are you searching for a convenient way to create a family tree diagram? You may try this cost-effective and easy org chart creator even you don’t have any professional drawing experiences. Open the software, go to Available Templates and then double-click the Family Tree button to start easily. Next, you can add or delete descendants, ancestors, spouses, and sibling based on your family structure. Just move your mouse on one of the shapes, and then click the Plus or Minus icons nearby the shape. You can start with yourself and build backward or start with an older generation and then build downwards. Now, you can add personal photos, names, date of birth for your family members. You can also insert notes, attachments or hyperlinks for your members to rich their profile. Changing the theme and style of your family tree diagram is also easy. 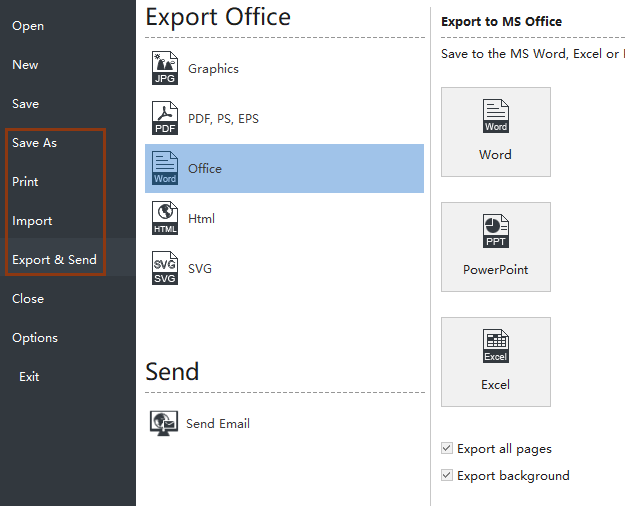 As shown below you can choose from a wide range of theme presentations, shape colors, shadow effects, connector types, text fonts, and size etc. 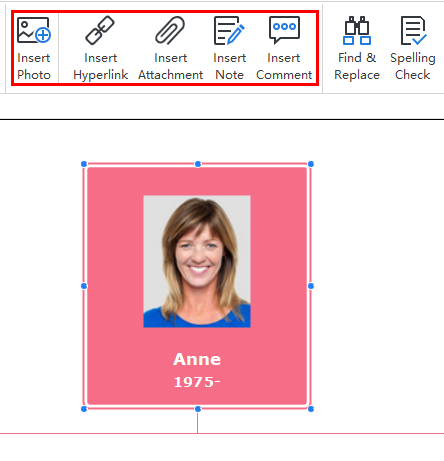 Now, you can export your finished family tree diagrams to different formats, save on the built-in cloud to share with your family members, or print in large paper sizes. Any more Best Practices for Creating a Family Tree Diagram? Decide the purpose of your family tree diagram – is it for presentations? Or just for online sharing within your family? Before drawing, decide the level of complexity and the total number of generations you want to display. Do your research in deep by contacting individuals within your family. Each layer of your family tree diagram should only represent a single generation.